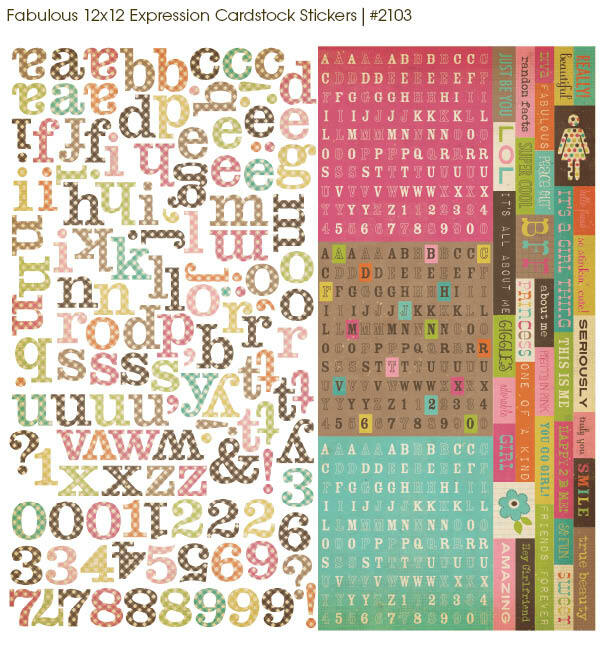 Simple Stories is relatively new company (to me at least) that specializes in pre-designed elements for quick and easy scrapbooking. The Fabulous line is a happy, girly line with lots of pinks and bright colors but it's also muted and a little distressed. I found it really easy to use because I have a tween daughter who is very info the type of graphics included in this line. 1. 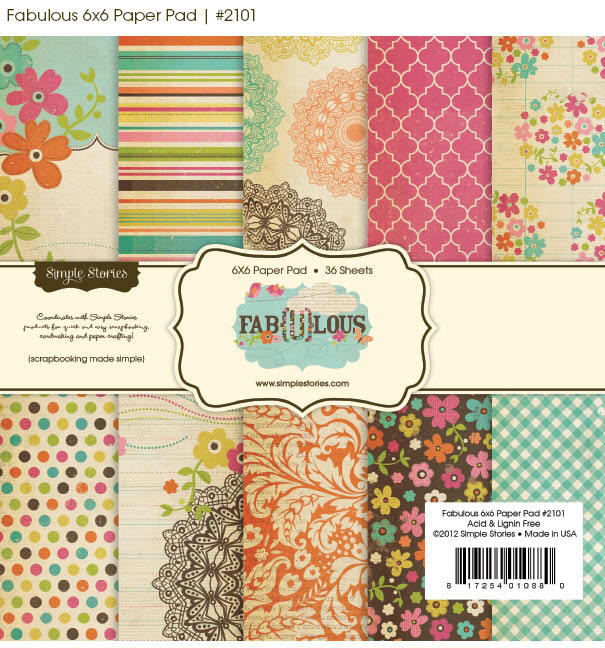 Fun, trendy geometric patterns - the line includes stripes, doilies, quatrefoil, flowers and of course, clouds. 2. The stickers were very fun with lots of variety - including borders, images, text and labels. 3. The premade/embellished journaling cards (for want of a better explanation) lend themselves to all kinds of uses - layouts, cards, mini albums. I thought they were versatile and sparked lots of ideas. 1. I wasn't overly enthused with the distressing. I liked a little of it, but could have done with a little less. 2. The B-side were neutral which I liked but I was disappointed that so many of them were so similar (neutral ledger). 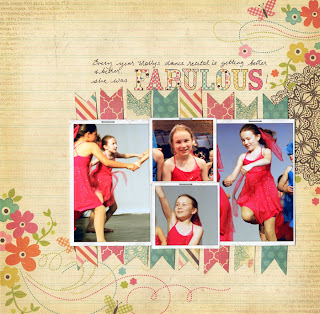 The papers with the 4x6 sheets inspired me to make a "Smash book" type of mini album for my daughter. The prompts like "all about me" and "my top favorites" are very her right now. Supplies: Simple Stories paper and chipboard stickers, Bind it All binding rings. 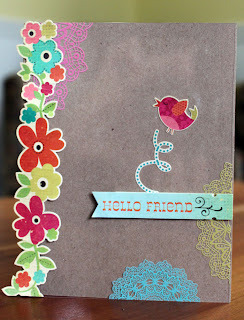 Supplies: Simple Stories cardstock stickers and transparency, Jillibean Soup kraft cardbase. What do you think? Is this collection in your must haves? Leave a comment by midnight EST on Saturday to be entered to win a prize pack from Simple Stories! U.S. residents only and please leave an email address so that we can contact you if you win. I can see what you mean about the distressed look, but overall I do like the colors! And seems you get a lot in this collection too. Thanks for reviewing this! I like the colors and patterns. I could definitely use this. I love the patterns and the colors in this collection it really caught my eye. 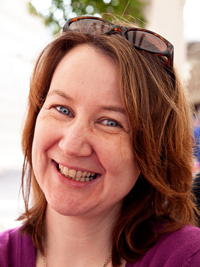 I've also seen some great projects using it around the blogs such as Betsy Veldman. Great post today! I really like the colors and designs in this collection! I like most of what I see from simple stories! Love your layout and cards! i love the colors and the slightly retro feel! Thanks! Another 'fabulous' line from Simple Stories! Love it. I really love the girlie-ness and colors of this line! Of course, I do have 2 girls...so that might influence it! I love the look that all Simple Stories collections have. 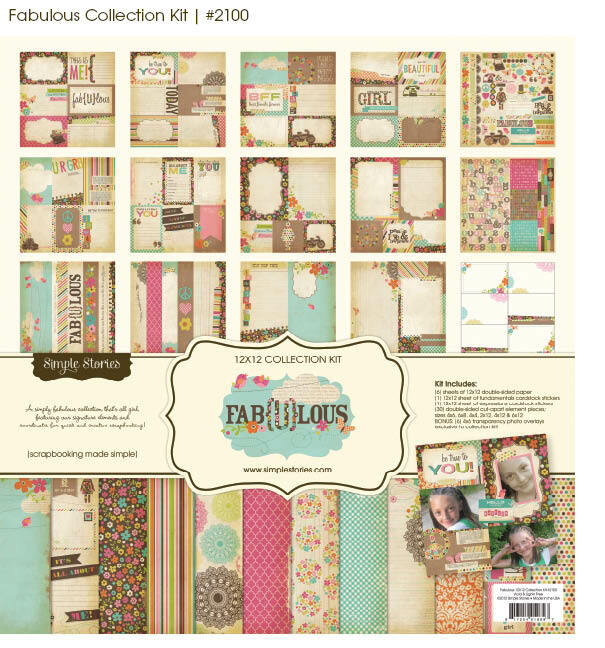 If you like the muted, distressed colors, then Simple Stories is perfect to keep your scrapbook pages similar. Yes yes yes yes Please!!! i love this! the colors are so pretty & i love it all! it's very pretty! Love what you did with it, great inspiration! I love this line. Gorgeous colors. Love how they have the journaling cards and the papers with the border strips etc. Simple Stories is awesome. I love the stickers in this collection and you mini album is adorable. Fabulous!! This collection is full of amazing colors. :) Thanks for the chance to win! This line is fabulous! With 2 teenage daughters, I know I could find a lot of uses for it! Oooh, this collection is just gorgeous! I love the bright colors! Cute mini! I really the Simple Stories concept, makes it pretty easy to scrap fast or do PL. Thank you for offering it up as a prize today. I love your first layout with the paper strips. Great collection! I love the colors in this line, too! Very pretty collection! I love it! Thanks for the chance! Have a great weekend! I love that you are honest and not just positive. I really like the patterns on this paper, and at least one image goes with the Unity stamp that I've seen. I didn't see the reverse side of the papers, but the fronts look great. And I like distressing, so this is maybe made for people like me. Thanks for your honest opinion. 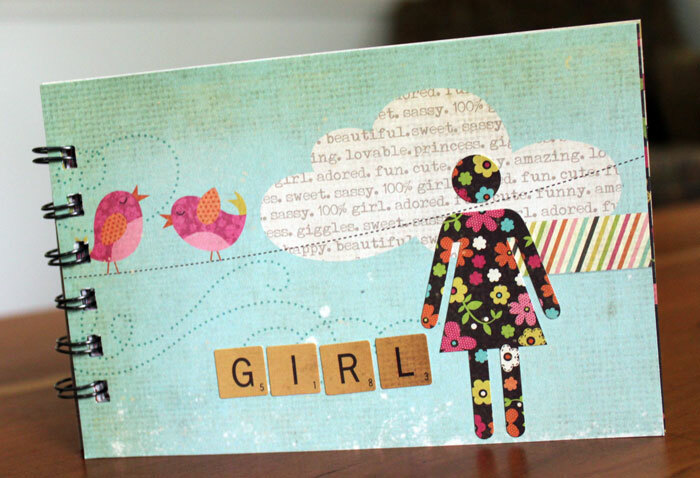 I like all the colors, and that they go with kraft paper. That's a definite plus for me. I also like the images like the girl. LOVE those polka dotted stickers and while I agree that they went a little overboard with the distressing, the color palate is still beautiful! I've never tried their papers before. Would be fun to try. Thanks for the chance. 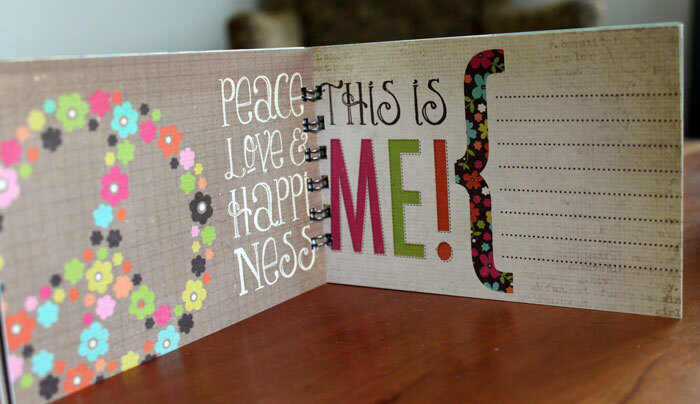 Great projects--LOVE that mini album! Great review! Love the name and colors. I know what you mean about too much distressing. Thanks for the review. I do love the Simple Stories concept, and although I'm normally attracted to more "masculine" color combos, this line looks like a lot of fun. 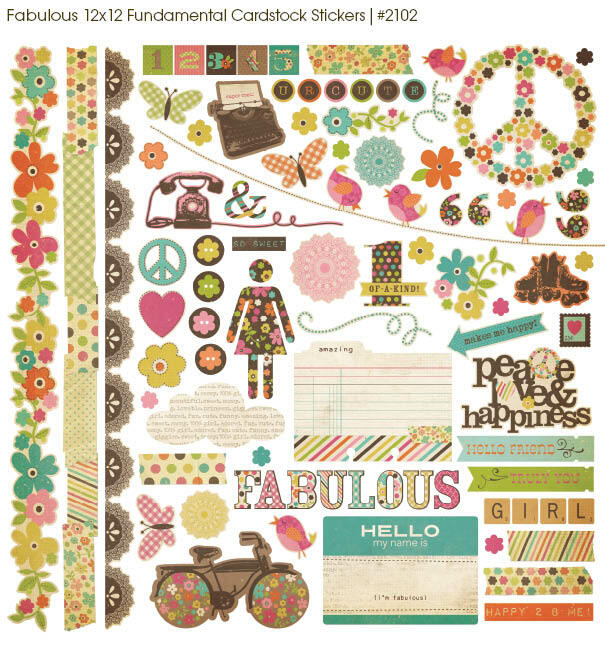 Love that pink quatrefoil pattern especially, and the images of the peace signs, the doilies, and butterflies would be very cool to scrap for my daughter's pages. Simple Stories have become one of my favorite companies. I do like the distress looks and it's not overly done for my taste. I do love their ledger papers as they make great journaling spots or journaling cards etc and I add my own stamping to match my layout. Love the mini album you created. Thanks for the chance to win. I would definitely use this collection! I love the "smash" book you made....Great Inspiration!! Thank you for the chance to win!! I haven't bought this collection yet but I have several of Simple Stories other collections and I LOVE THEM!!!! They are so versatile and easy to use since they are pre-measured to fit in the WeR page protectors! I love this collection!!! The brights with the slightly distressed is different from most of what's out there. I really loved your mini album!!! Great projects! LOVE your layout- so fun! 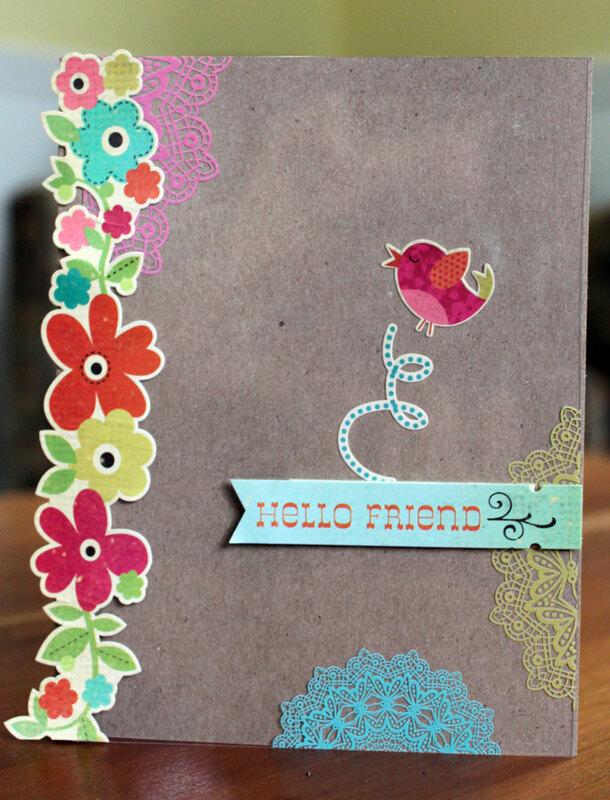 The colors in this collection look fun, cheery and bright even with the muted tone! I really like this collection, and I love what you made with it! I LOVE everything about this line! This would be perfect for my girls! So far in love with their stuff!